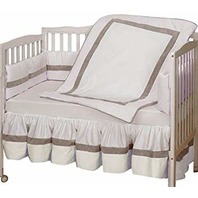 Our Classic II Crib Bedding Set splashes a soothing sweetness across your nursery. 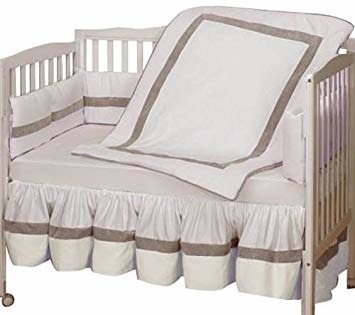 The calming hues of white, grey, and white, combine to create a bedding set that is perfect for your precious baby girl. 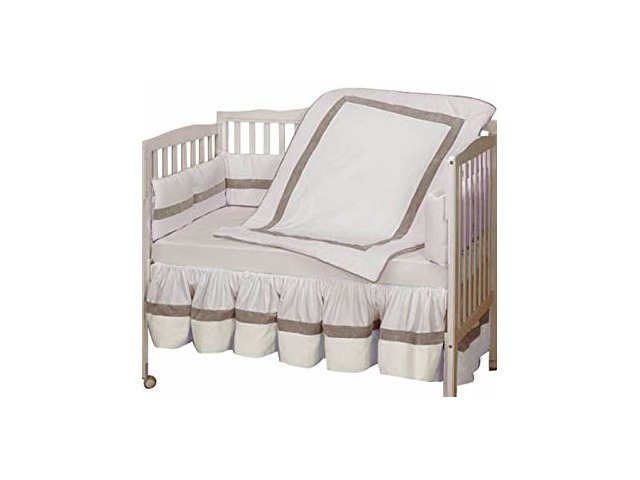 The straight lines and border effect of the bumper and comforter are complemented by the softly ruffled crib skirt. A lovely addition to the room she calls her own.